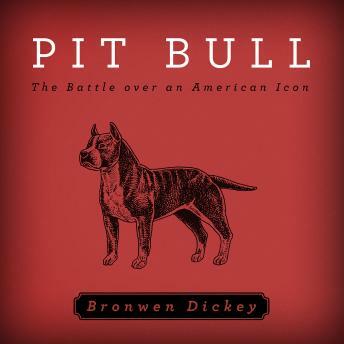 When Bronwen Dickey brought her new dog home, she saw no traces of the infamous viciousness in her affectionate, timid pit bull. Which made her wonder: how had the breed-beloved by Teddy Roosevelt, Helen Keller, TV's 'Little Rascals'-come to be known as a brutal fighter? Her search for answers takes her from nineteenth-century New York City dogfighting pits-the cruelty of which drew the attention of the recently formed ASPCA-to early twentieth-century movie sets where pit bulls cavorted with Fatty Arbuckle and Buster Keaton; from the battlefields of Gettysburg and the Marne, where pit bulls earned presidential recognition, to desolate urban neighborhoods where the dogs were loved, prized, and brutalized. Whether through love or fear, hatred or devotion, humans are bound to the history of the pit bull. With unfailing thoughtfulness, compassion, and a firm grasp of scientific fact, Dickey offers us a clear-eyed portrait of this extraordinary breed, and an insightful view of Americans' relationship with their dogs.